The locateWater sensor can be connected to any one of the sensorProbe or securityProbe’s RJ-45 Intelligent Sensor ports enabling the unit to detect the specific location of water ingress. This water sensor is a switch type that will be on or off and will detect the presence of water if a specific location on the rope becomes wet. This is ideal when monitoring for water leaks under a raised floor, or false ceiling areas. the non-sensing area cable (from the rope to the sensing module) and the main sensing module. The sensing cable can be pre-ordered from a 10-foot minimum to any custom run length (in multiples of 10 feet) of up to 160 feet. The non-sensing cable comes in a standard 20-foot run length. See the detailed diagram of the sensor assembly on page number 2 showing the cable. 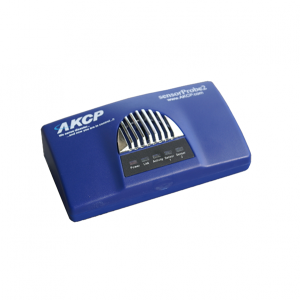 The sensing module is then connected to any of the RJ-45 Intelligent sensor ports on the AKCP base units using standard CAT5/6 LAN cable. calls and SNMP traps. The sensor has its own SNMP OID so that it can be monitored over the network using any Network Management System. Each locateWater sensor comes complete with a 5-foot sensor cable that connects the main sensing module to the securityProbes RJ-45 sensor ports, or you can use your own CAT5/6 LAN cable. Note: The locateWater sensor is only compatible with the securityProbe, securityProbe 5E and newer sensorProbe2 shipped after October 2009. If you have an older sensorProbe2 or sensorProbe8 base unit, please contact us for upgrade details. 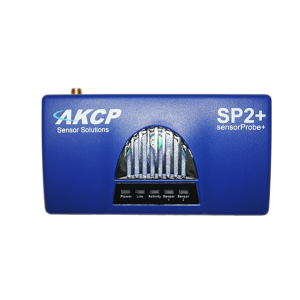 • Power Source: Powered by the sensorProbe, or securityProbe. No additional power needed. Both units will auto-detect the presence of the locateWater sensor. • Sensor module LED activates when liquid is detected by the sensor. • Sensor reports critical status if cable integrity is broken, cut, or unplugged. • The locateWater sensor can detect and withstand a 40% concentration of battery acid for short term periods of time without damage to the rope. • RJ-45 jack to main sensor module using UTP CAT5 cable. • Maximum extension cable run length is 30 meters (100 feet). 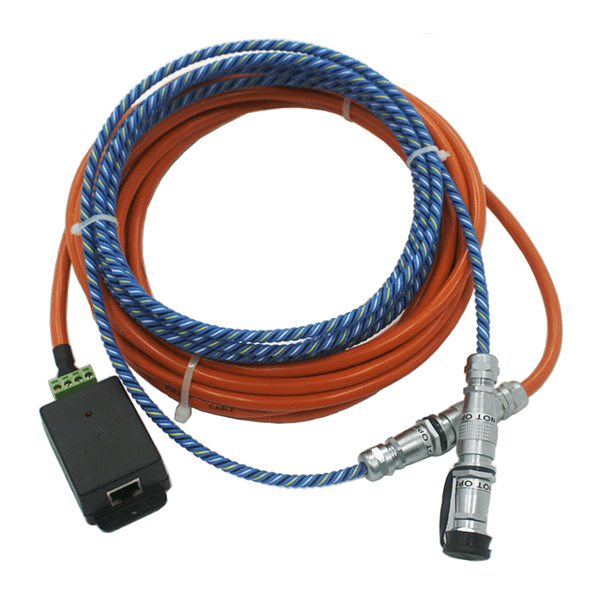 • Comes fully assembled including the Water/Acid sensing rope, the non-sensing cable that connects the rope to the sensing module and the main sensing module that connects via CAT5 LAN cable to the sensorProbesecurityProbe 5E. to 165 feet or 50 meters. • Non-sensing cable comes in a standard 20 foot run length.